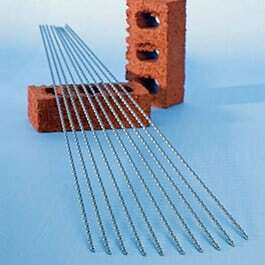 High tensile stainless steel crack stitching bars used for reconnecting cracks in walls. 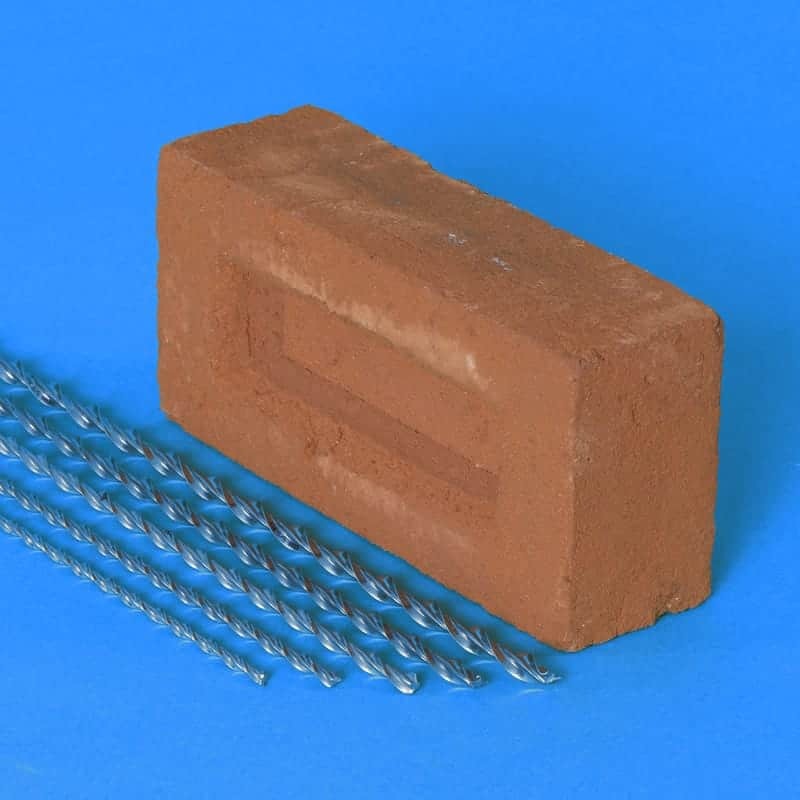 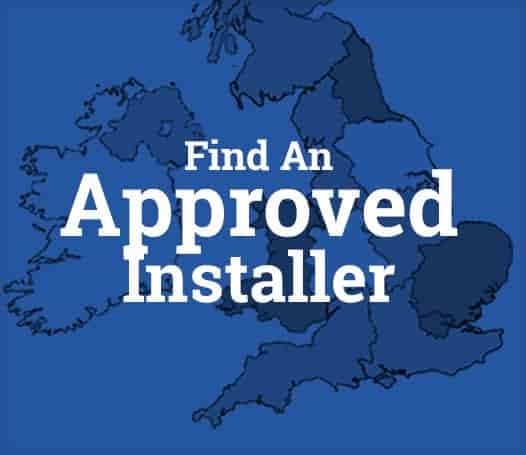 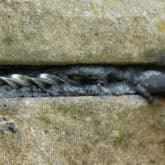 Available in a selection of lengths and diameters, crack stitching bars are a proven and effective solution for reconnecting and reinforcing cracked brickwork. 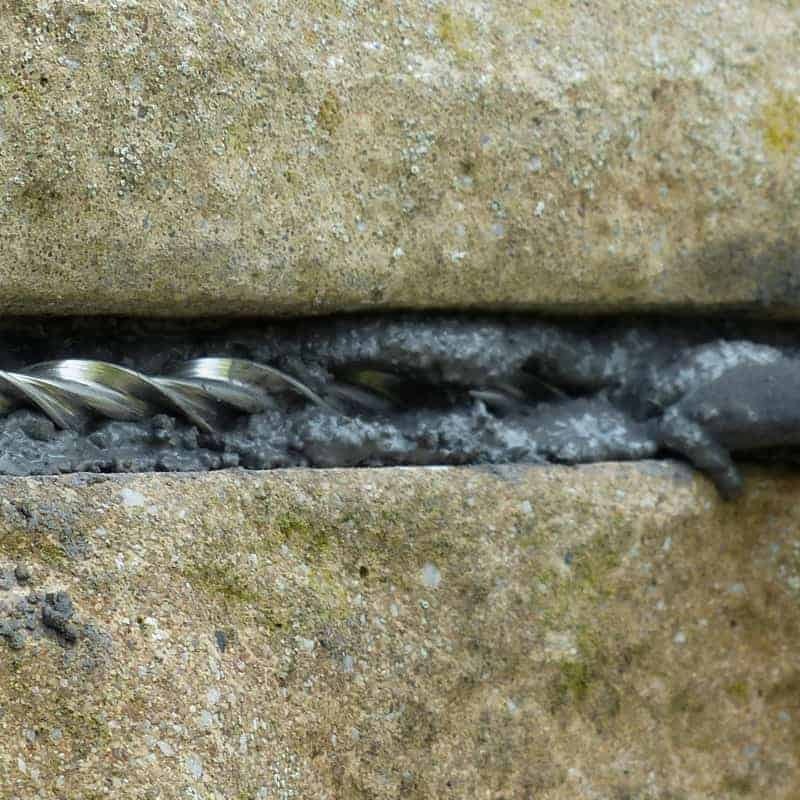 Crack repair rods are bonded into the bed joint to extend 500mm across cracks in walls and can withstand a tensile load of at least 8kN. 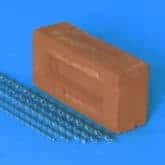 Stainless steel brick stitching bars have a tensile strength that is double that of conventional rebar and a spiral twist that permits a degree of torsional yield within elastic limits and the high fin profile provides an excellent key for bonding into mortars.